Ron Myrick of Tetra Tech used a map Monday to show areas where wells are being tested for hazardous chemicals. At a packed meeting Monday, leaders at the Martha’s Vineyard Airport and their environmental consultant fielded questions and sought to allay concerns among residents following the disclosure last week that chemical contaminants had been detected in a handful of private wells. The source of the contamination is likely firefighting foam that has released chemicals into the groundwater — a relatively new discovery, airport officials have confirmed. Used for decades at military bases and airports, including the Vineyard airport, the foam has come under renewed scrutiny since a draft federal study published in June found that two toxic chemicals in the foam pose health risks. The chemicals, Per and Polyfluoroalkyl (PFAS) substances, have been found in drinking water systems nationwide, including private wells near airports. There are no federal standards yet for safe levels of PFAS, but in guidelines issued in June, the Massachusetts Department of Environmental Protection said exposure to elevated levels of the chemical can cause liver, kidney and immune system problems and could be unsafe for women who are pregnant. 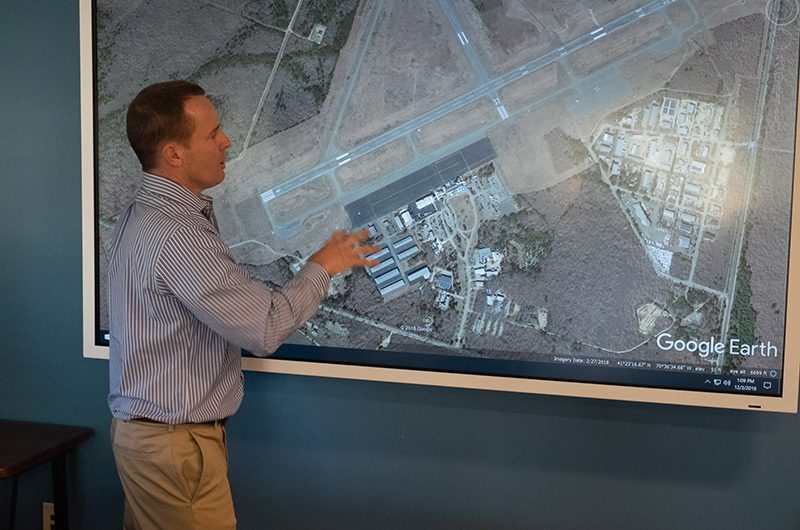 Airport officials first reported last Friday that bottled water was being provided to some West Tisbury residents as a precaution after PFAS were detected in groundwater around the airport. On Monday, Mr. Myrick said well sampling by Tetra Tech began in July in wells on airport property. Those tests found concentrations of over 1,000 parts per trillion, far above safe guidelines of 70 parts per trillion as set by the DEP. Starting a few weeks ago, Mr. Myrick said testing began in residential areas south of the airport, in the down-gradient direction of groundwater flow. 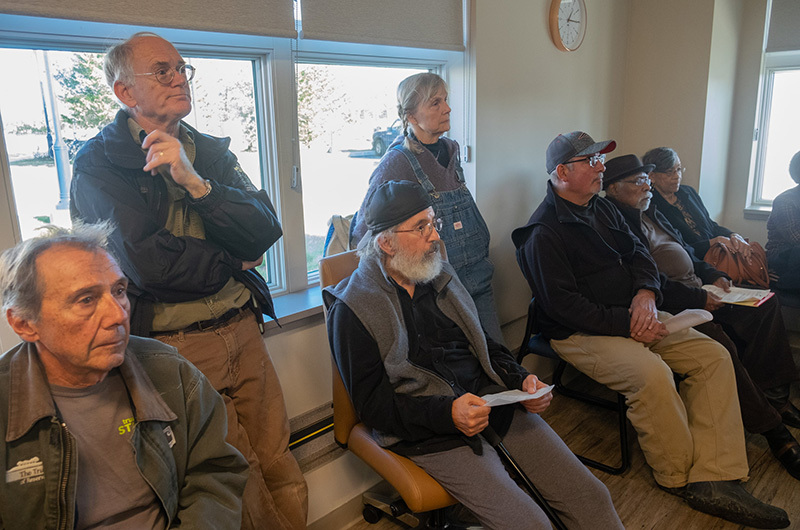 He said more than 130 West Tisbury residents living south of the airport were subsequently informed about the findings in letters hand delivered to homes last week. He said as of Monday, 17 wells have been tested. Four homes are receiving bottled water after wells tested above safe limits for PFAS concentrations. He said more tests are ongoing, and that results take about a week to come back from the testing facility in Mansfield. Edgartown health agent Matt Poole said testing south of the airport could be missing other homes potentially in the groundwater flow. “A decade of looking at directional movement is more easterly,” Mr. Poole said. He requested that Mr. Myrick begin testing wells east of the airport when time allows. About 30 residents who crowded the small meeting room in the airport firefighting and rescue building peppered Mr. Myrick with questions. One asked how the hazardous firefighting foam is contained after it is used for testing at the airport, as required by the Federal Aviation Administration. “What do you do with all of the captured material?” asked Domingo Pagan. 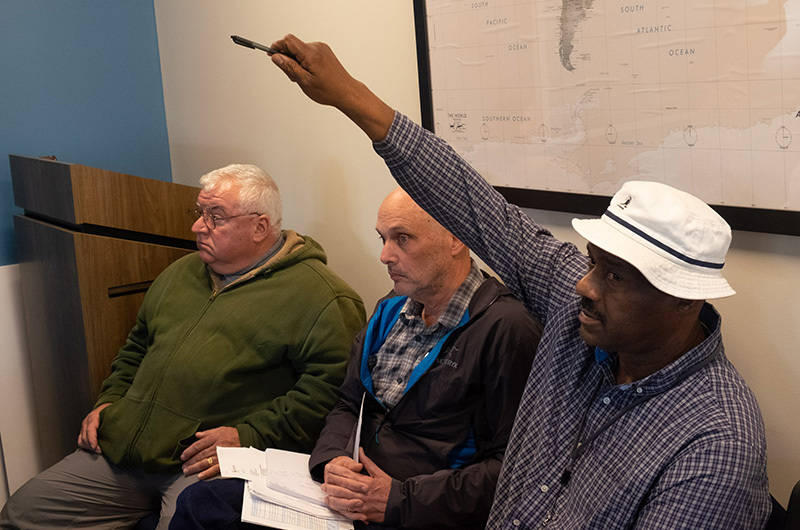 West Tisbury health agent Omar Johnson said he had received a deluge of phone calls since the contamination was first reported last week, and asked whether the airport will cover the cost of private well testing. “I’m being bombarded with questions by residents,” Mr. Johnson said. Robert Tonti, who lives in a residential area south of the airport, asked how much impact the foam has had on the groundwater since it was first put into use in the mid-1990s. Ms. Richart said airport managers have made changes in the testing procedures for the firefighting foam since they became aware of the matter last January. 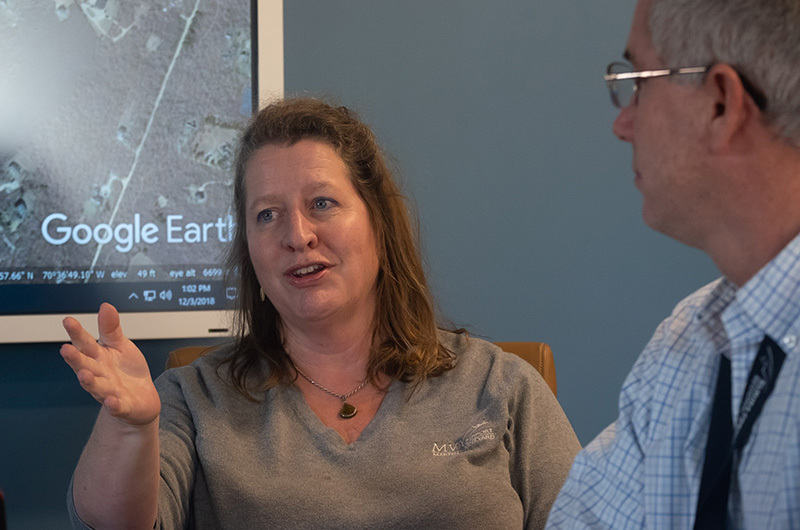 She emphasized that PFAS in firefighting foam and groundwater is a relatively new issue, and said the airport is actively taking precautionary steps. Federal lawmakers responded to the firefighting foam concerns in October by passing a House FAA airport reauthorization bill with a provision giving airports the option to phase out the use of foam with PFAS chemicals in the next two years. Two bills were also introduced with the goal of strengthening federal and state responses to PFAS contamination. The Vineyard is a sole source aquifer. The Island’s main aquifer covers more than 40 square miles in the center of the Island and supplies about a billion gallons of water annually to Edgartown, Oak Bluffs, Vineyard Haven and parts of West Tisbury and Chilmark, according to an in-depth story about the Island groundwater supply in the December issue of the Martha’s Vineyard Magazine. Mr. Myrick said Tetra Tech will submit its findings to the DEP by the end of January. Ms. Richart said when results are known, another public meeting will be held. Since the proximity of the Airport to the Oak Bluffs Wells 3 and 4, has the Water District tested for PFAS. It would be nice to assure your ratepayers that the water they are consuming is safe. The District's silence is deafening. I want the use of this toxic foam banned immeadiately !!!!! The Vineyard is our last refuge and now it is also being polluted and Vineyarders are being exposed to the toxic chemicals for what? Stop the growth of the airport, we do not need more people to continually coming to our paradise to ruin it. Everything gets ruined over the call of progress. THIS IS NOT PROGRESS....Stop growth, the Island is getting overcrowded and what is so special about the island is being diminished. Now I can not even drink my water? The same thing happened at Steward Airport in Newburgh, NY which is also a NY Air National Guard base and the same contamination was found. Very disturbing to say the least. I'm concerned that the Fire Chief for the Airport drills wouldn't be aware of the potential damage this toxic foam could produce.. & why would the Fire Chief not take into consideration the Airpot's (entire Island ) sand plain base. ?? Very disturbing course of action .. Perhaps this toxic foam is a FAA requirement , otherwise how could a Fire Chief even use it let alone drain towards the South Shore ?? This is happening all over the country. There is anew foam substitute that doesnt have the dangerous chemicals. I dont know if they have switched. The new gen x substitute still has PFAS. More volatile chains in fact. There is a PFAS free foam being used overseas but has yet to be used in the States. This is not a new issue. Multiple communities in New England and all across the country have been dealing with this same contamination that was discovered in 2014. I would disagree with this quote: “We’re one of the first being proactive to figuring out what the issue is and how to respond.” If any community members want more information and resources on PFAS, please look at testingforpease.com or email at info@testingforpease.com. There is a national coaliation of community leaders on this type of contamination and we can plug you in and bring you up to speed on what you should be asking for. Also, Cape Cod has this same contamination with also the same problem of a single source aquifer. The MV community should know they are not alone.